The evil they call women are still infections that keeps on infecting people every blessed day. They actually hold the life of any man that comes their way. No disrespect to ladies but this needs to be said. 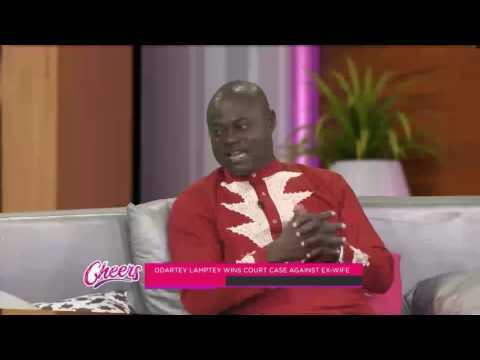 A former Ghanaian footballer and now the assistant manager of Ghanaian football club Sekondi Wise Fighters, Odartey Lamptey broke down in an interview with Nana Aba Amoah of GHOne's "Cheers" while disclosing how his ex-wife made him father kids who weren't his for 21 years. According to him, the marriage came to an end after his wife filed for a divorce due to his inability to pay for his alleged oldest child's tuition fee in the U.K. However he got a bigger shock, after he heeded the advice of a friend who asked him to take his kids for a DNA test. Odartey Lamptey, ex-Aston Villa and PSV midfielder, disclosed that he had been with her for 21 years with 3 kids - ages 20, 19 and 8 - before he found out that they were not his. Now broken, he revealed that when he confronted his ex-wife, she accused him of being impotent. However, Odartey who has given his ex-wife the divorce she asked for, is now married with two kids and another on the way. According to him, he's now focused on his new family and football academy. This is indeed pathetic. In Allen Shores voice "I managed to leave the evil that so ages man" - guess what it is?